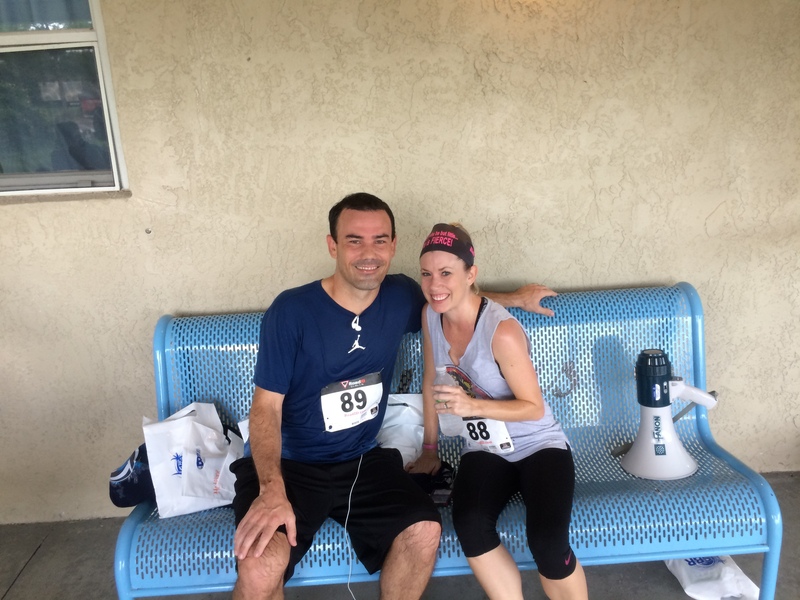 Over the weekend, I ran a 5K . I don’t run in many races, but this one was different. This race was named in honor of my late father, an avid runner himself, who unexpectedly passed away three summers ago. This week would have marked his 60th birthday. My dad’s name was Dan. He lived in several different locations growing up, but his family settled in Detroit for his teenage years. Naturally, he grew to love Motor City sports’ teams and bestowed that fandom on to me. My dad was an all-state wrestler in high school. And if you know anything about wrestling in the Midwest, you know it’s a hotbed of talent. Like football in Texas. He had scholarship offers to wrestle for Division I schools, but opted to attend Bible college instead with designs on becoming a pastor one day. He settled down early. Really early. My dad was 18 and my mom the ripe old age of 19 when they got married. They were high school sweethearts. After college, my parents spent time working with teenagers at churches in Daytona Beach, Florida (where I was born) and Rincon, Georgia prior to moving to Toledo, Ohio for my father’s first gig as senior pastor. Although Toledo doesn’t exactly conjure images of paradise, I loved spending my elementary years there. For me, it was a quintessential childhood. When I was eleven, we moved to Stuart, Florida where my father accepted a new pastoral appointment. It’s been home ever since. I recently asked my mom about that move. I’d always assumed our relocation was brought on, in part, by a desire to be closer to my dad’s brother and parents who lived an hour south. To my surprise, she said it had more to do with the opportunity he felt it would provide my sister and I. Looking back, I shouldn’t have been surprised. Considering others before himself was his modus operandi. My father was a kind and compassionate man and friend to many. Some have said you could see it in his eyes. He embodied humility and took pleasure in certain of life’s modest offerings – an afternoon nap, a leisurely bike ride, and licorice candy. As a pastor, he devoted his life to the ministry, and loved his family dearly. I wouldn’t have traded our relationship for anything. It’s an interesting thing losing a parent. Nothing can prepare you for that moment. It’s one of the few truly surreal occasions in life. For weeks and even months following my father’s passing, I found myself grabbing my phone to text or call him about something only to remember that I could no longer do so. Hundreds attended my father’s funeral. In the days surrounding, many people shared personal anecdotes about him I’d never heard. I grinned over and over as each story confirmed the kind of man my father was. A man who was the same person day in and day out. As life forges ahead, I’m left with many lessons learned and experiences shared. I endeavor to pass along similar lessons and experiences to my son because experience is a great teacher and I had one heck of a guide – the finest man I’ve ever known.